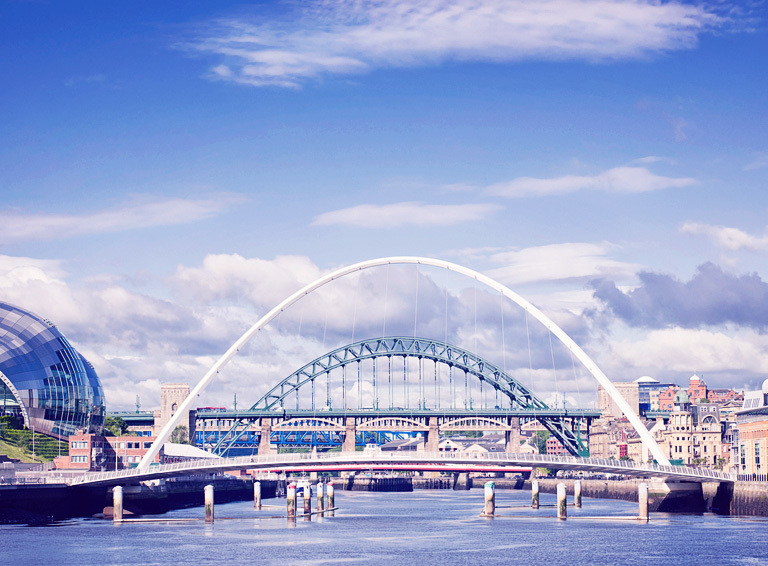 We’ve seen cloud adoption in the North East of England reach new levels in the past 18 months, largely due to an increase in customer confidence. But it’s also playing an important role in the emergence of a strong digital economy. In fact, 1 in every 20 workers is now employed in the tech sector and it contributes £600m annually to the region — a figure that is predicted to rise to £1.1bn in the next three years. The business world has gone mobile and you can see examples of this everywhere you look. Employees used to sign in at 9 and sign out at 5, spending all day at their desks. Now, many desks are unoccupied much of the time, with employees working on the go while travelling or sending emails from home outside of traditional business hours. Cloud technology has been the enabler of these changes and this continues to be the case. Millennials or mobile-native employees are forcing businesses to incorporate mobile working and technology into their employment package and companies are seeing improved motivation and productivity as a ‘work from anywhere’ culture is adopted. Organisations that embrace a clear mobile strategy are the ones that are attracting the best talent, as employees seek out employers offering mobile working as a standard element of any benefits package. The tech sector in the North of the UK is growing exponentially, due partly to initiatives like the Northern Powerhouse providing valuable support and resources to enterprises in the region (read our view on this here). However, without cloud technology, this rate of growth and product innovation in the region would not be possible, and what’s more, cloud technology is causing disruption across all industry sectors. It considerably reduces go-to-market timelines, and innovative tech start-ups are causing big enterprises to nervously look over their shoulders and rethink their strategies. Think Uber shaking up the transport industry, Airbnb disrupting the travel sector and Spotify reinventing the way we consume music. The list goes on. The message here is adopt cloud technology or risk getting left behind. Not only does it help businesses innovate and get to market first, it’s crucial for competitive defence. The structures, processes and bureaucracies of the past simply can’t cope when responding to threats posed by new start-ups and product developments. They are too slow and cumbersome. Cloud allows for nimble, flexible and fast reactions to change. The good news for larger enterprises, however, is that cloud helps businesses of all sizes innovate like a start-up and deliver like an enterprise. It offers a platform for experimentation and rapid deployment. IT resources can be put to work on business innovation rather than reacting to problems and R&D teams can accelerate new product development. In summary, cloud makes innovation affordable and attainable, and we’re going to see more new tech developments bringing growth and jobs to the region. While organisations adapt their business models to the digital arena or build new business models, they need agility and the ability to scale up and down. Buying an in-house system can mean playing the role of fortune teller by trying to predict how much capacity and what functionality will be needed in three to five years. With cloud technology, companies can buy what they need today and scale their usage if and when they need to, meaning energy and cost savings are optimised. The cloud pay-as-you-go model is also easy on the pocket. Hybrid environments can play a key role in a transformation strategy, providing the ability for customers to retain control of some systems such as payroll or email, or retaining some elements of their physical hardware where a recent investment has been made. It also has particular benefits for organisations with legislative or regulatory requirements around their data hosting. They can use private cloud for sensitive information, while reverting to public cloud for other operational systems that are not subject to the same demands. One of the most popular solutions at the moment is Microsoft Azure. Not only does it offer public cloud capabilities, but there are other services built around it, from disaster recovery and business continuity, to big data analytics and data warehousing. The future landscape is also shifting with the emergence of Microsoft Azure Stack, which Pulsant will be launching later this year. This provides all the benefits of Microsoft’s Azure public cloud services, but as it is delivered from a datacentre of your choice, it also offers the benefits of a private cloud solution. As one of Microsoft’s premier partners in Azure Cloud services, we’re well positioned to deliver these solutions to the North East, and throughout the UK. We are working closely with Microsoft to ensure that we deliver the best solutions for our customers that meet security, performance and reliability requirements, and help organisations grow. This is an exciting time for both the North East, in terms of transformation and the digital economy, and the hybrid cloud landscape, and we will continue to support companies in the region.